BRIDAL STYLING: 50 SHADES OF...WHITE!? Nothing to do with the famous "GREY" , don't worry! But if you think that there is just one shade of white I am afraid you are wrong. If you are going to get married and you are looking for your Wedding dress then take into consideration this article, maybe you'll discover what your best shade of white and it'll help to identify the perfect dress and complements for your Big Day! Like any other colour, actually, even white has several and different shades : there are indeed cool whites and warm whites, there is the pure white, the greyish white, the pearl white, the off-white, the champagne, the ivory (that can be yellowish or pinkish) and I could go on with the list. Nowadays there is such a huge proposal of Wedding dress styles and colours that you can get lost! 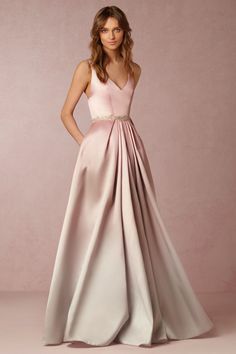 Maybe you have a clear idea of what you want : if you are a classic and a traditional bride you would probably go for a pure white dress, while if you are a fashion victim maybe you would go for the last trend colours (2016 for example is the year of blush for the wedding dresses! ); but it's not just a matter of personal taste : the right white, like any other right hue, can make your eyes shine bright, can illuminate your face and make your skin looks like porcelain; while the wrong shade of white could make you paler, highlight the dark circles or simply it wouldn't enhance your characteristics enough. Honestly, it is not just the shade but the mix of colour and fabric (shiny, matt, plain, embroidered, embellished, and so on...) that can really make the difference! But let's go on talking about the colour now, that is our real subject. Still confused about what I am saying? Maybe some pictures will help! It seems even more icy, isn't it? See also how the gown is embellished with silver jewelry applications; it is undoubtedly a wise choice! Usually silver is the metal that work better with the pure/optical white! This can be a useful info for you to complement your dress with accessories (earrings, necklace, tiara, hair pins, and so on..). The pure (or optical) white is identified as "cool" colour and it is generally better for people with cool features themselves (black hair or ash blond hair for example) and/or deep contrasts (black hair+black eyes and pale skin)_and I can tell you that the model of this picture is not the best to wear this colour actually. The pure white is usually the best choice for Asian women as well (Chinese and Japanese for example). But be aware that pure white can make your teeth seem yellow! Now I want to show your the warm classical white : the ivory. Here below a fine example of an ivory wedding dress from Pronovias http://www.pronovias.com . It is a yellowish one actually. Can you see the yellow shades of the fabric? It is clearly visible on the bottom part of the skirt. This warm shades are generally better for women with warm features in their natural colours (like golden or chocolate brown or honey blond hair). Anyway this gown the white lace on top makes this ivory gown a lighter,delicate and less yellowish ivory shade, generally a good compromise for "neutrals" as well (women who have both cool and warm elements in their natural colours); for sure it is not suitable for women with real black hair and pale-pinkish skin tone. This time they added golden elements as you can see, accordingly to the fabric's colour nature; this really makes this gown warm and intense, good for women who have themselves very warm charatteristics (beige to brown/bronze shin, red hair, hazelnut eyes, for example). Honestly, the model they choose for this photo shooting is not the best to wear this dress (obviously I am referring just to her colours, not to her body!). This pinkish ivory is good again for ladies with warm characteristics, maybe better for the ones with lighter colours (honey blond, light golden brown or red hair) 'cause it is very delicate and it has white pearly applications on the top that make it a bit softer and delicate; it suggests, moreover, the use of pearly accessories and jewelry to complement your total look. What about this one below, again from Sottero and Midgley collection? www.maggiesottero.com . It's still pinkish but more delicate. This seems to me the best pinkish-ivory shade because it is very soft and not totally warm, it can really be a jolly for most of the women and, in my opinion, it can be complemented both by silver and golden elements. This is another version of a pinkish white again, with grey shades that make it cool and quite muted. It is probably good for ash-blond or light-brown women with light eyes (icy blue or green). I always say "probably" because you can't really determine if a colour is good for you or not unless you put it close to your face and see the effect it has on you and your complexion. Moreover women generally alter their hair colour and sometimes it alter their category as well (whether it is warm, cool or neutral). Here ends my article, but there would be more and more to show you! My advice, if you really want to get a perfect look on your Wedding day and find the best shade of white for your dress, is to ask for the help of an expert colour analysist/image consultant... it really worth to try! At least is your Big Day we are talking about and every detail is important and can really make the difference! Below you can see all the dresses mentioned above, so that you can have and immediate comparison of all these different shades of white! Newer PostPERSONAL STYLING ADVICE: DO SHORT HAIR SUIT YOU? Older PostBRIDAL STYLING: HAIRSTYLE TRENDS FOR 2016!